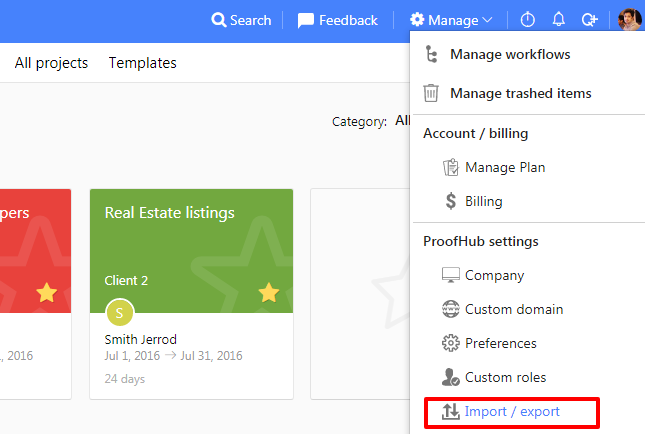 Click Manage Account button from top bar and choose Export option. 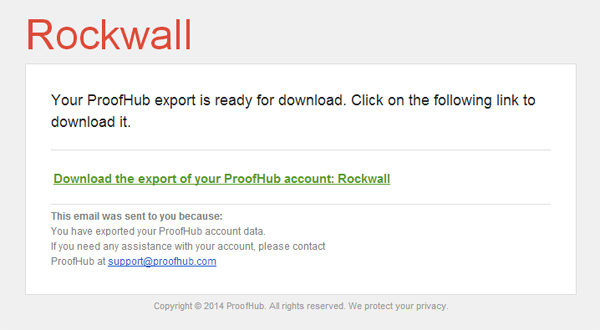 An email will be sent to you when your export is ready to download. Click the download link to download the exported html file. It may take some time for each export to complete successfully. An email will be sent to you when it is ready to download. You can initiate one export per day. In Zip folder, each project (including archived ones) is broken into separate folder where you can find your discussions, tasks, events, notes, files, people etc.